Hair loss is a common problem and every 4th person seems to be worried about their hair health. Most of the people lose hair as they age but this problem has increased in the last few years. Even now the young people are losing hair. Multiple reasons are behind the hair loss. However, it can be treated at home and by experts as well. Now the latest technology like PRP, laser, hair transplant and other treatments make it less painful, quicker and effective for the people to get their hair back. This post aims to share a number of useful secrets that will help you grow your hair faster, make them stronger and prevent hair loss. For the people suffering from hair loss issue, doctors through research have prepared hair control pills that are way too effective when it comes to improving hair growth, controlling hair loss and give your hair a new touch of strength. Keep reading to find the secrets! It should be noted the secrets being shared are traditional. These have been in use since decades and people still believe in the effectiveness of these tricks. You might be surprised to find out that washing your hair two or three times a month with apple vinegar will be helpful to make your hair stronger and boost growth. If you are fond to have lush hair, this secret is for you. The method is simple: just wash your hair, use vinegar instead of a conditioner and don’t rinse it off. If we start talking about the use of coconut oil for hair, there will be hundreds of uses. In short, coconut oil is one of the best things you can purchase for your hair. The oil has numerous benefits and works as an essential oil too. In the past people had been using coconut oil for stronger, thinner, shiner and healthier hear. And this use is also effective today. Get massage of coconut oil before you take a bath and do this 2-3 times a week to get rid of thin hair. Eggs contain proteins and cognac has tannins. Cognac is very helpful to get thicker, longer, healthier, stronger, lush hair. It also stimulates hair growth. You need to make a mask using cognac, eggs and olive oil if you want to apply across length. Take a glass of cognac, add two eggs into it and mix them together. 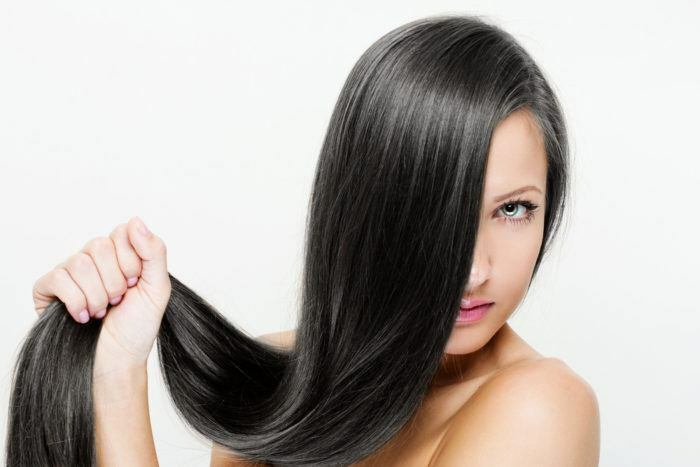 Add olive oil in the mixture to get smooth and soft hair. A famous actor uses this trick for styling and hairdos. There are a number of really good essential oils for hair growth. They are all useful to control hair loss, improve health of current hair, make them stronger and boost their growth. You will find some best essential oils on Amazon as well. They are affordable and useful. Every essential oil has different properties and is used for multiple hair purposes. Some make your hair grow faster and other is effective to control hair loss and give shine to your hair. Find one that suits your needs and ensure the regular use.